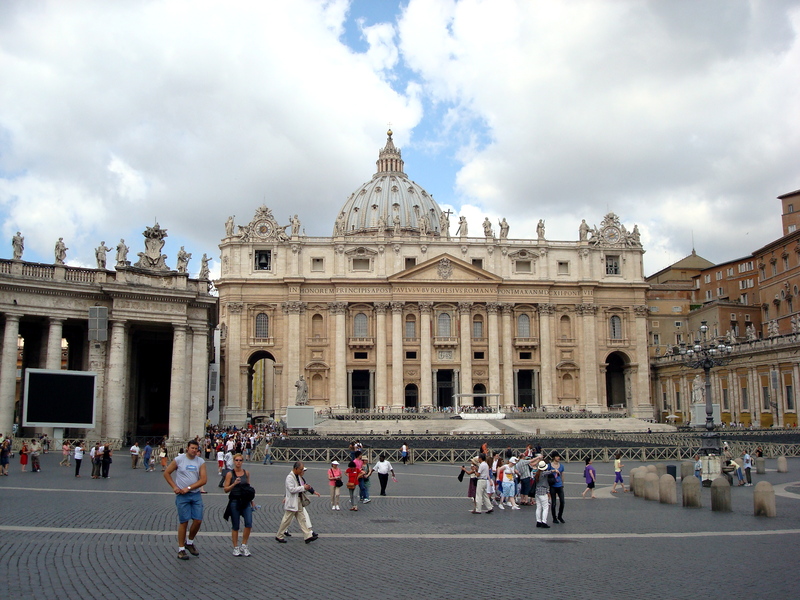 On Friday our group visited St. Peter’s, which was crowded and overwhelming. We took a tour of the underground parts of St. Peter’s, where Peter’s body is supposedly buried. The tour was interesting, but the air underground was humid and the tour guide had a very thick accent. Our tour started later in the day and took up most of the afternoon, so our professor canceled our creative writing workshop and told us to write something over the weekend. She wanted us to write a response to St. Peter’s, but I didn’t feel a response. I am not Dan Brown, after all, and I never intend to be. I did feel a great response to Florence, however, which poured into my writing this weekend. 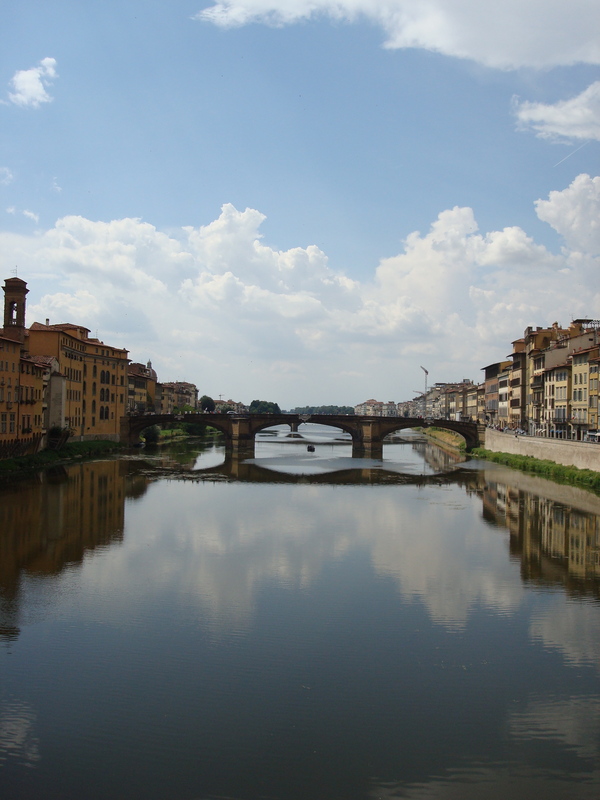 Lindsey and I spent the day in Florence on Sunday. 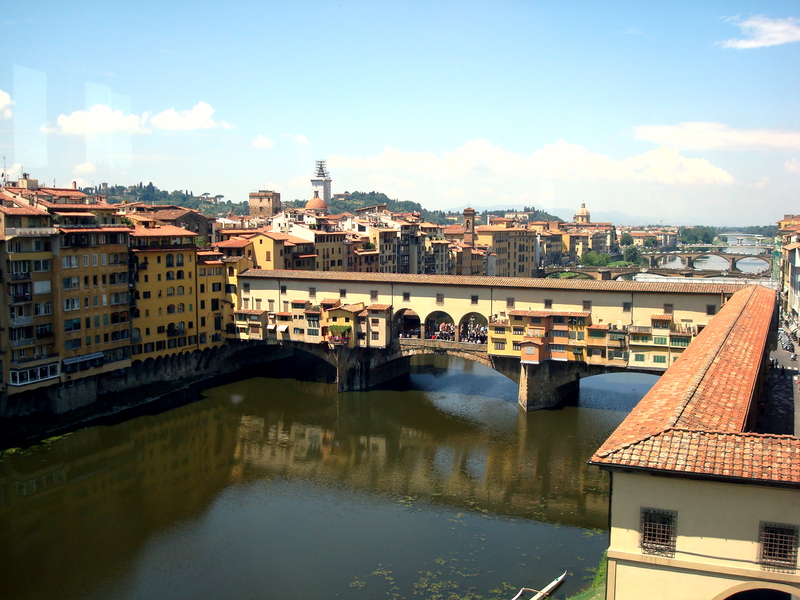 We visited the Uffizi first, where I spent most of my time staring at the Botticelli paintings. Unfortunately, we were not allowed to take pictures. We spent the rest of the day wandering around town, staying close to the river and passing our time wandering in and out of various stores. 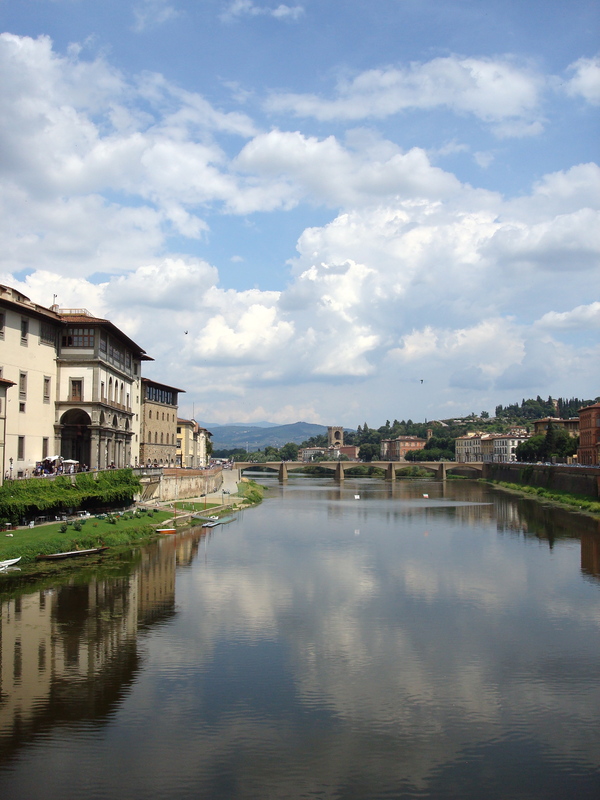 Something about Florence-its size or how much lovelier it looks than Rome-brought out the romantic in me. 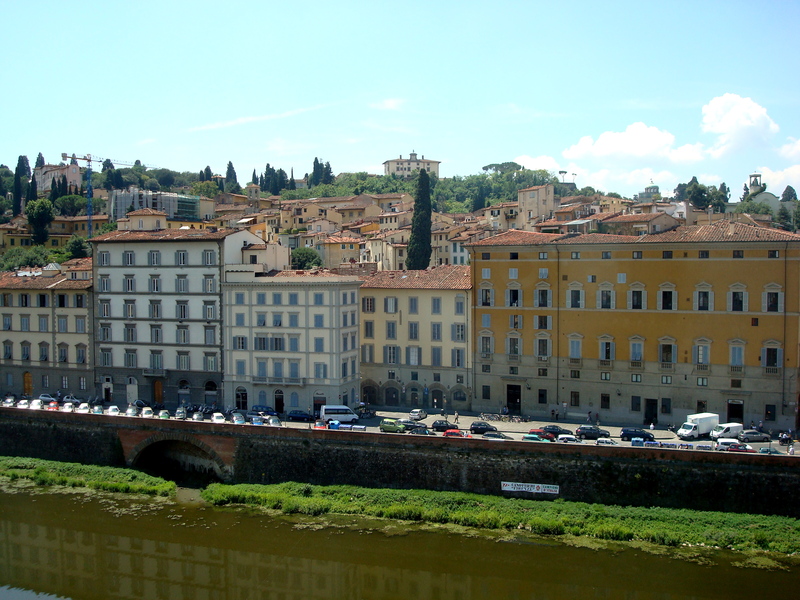 So, I decided that in my final piece that I am working on for this trip, the parents’ love story should begin in Florence. Here is a snippet. very nice story, i just had raven watch dirty dancing for the first time so i’m in a romantic mood. i told her it was her rite of passage into womanhood and that she would love it and of course she did. oh and p.s. i’m glad your not like dan brown his book was very boring till the end and the movie was even worse and alot different from the book. next we have to read my sister’s keeper and see the movie and i don’t want to cus it looks so depressing, i like horror and fantasy, who wants to live in the real world? well i better go before i write a novel myself.